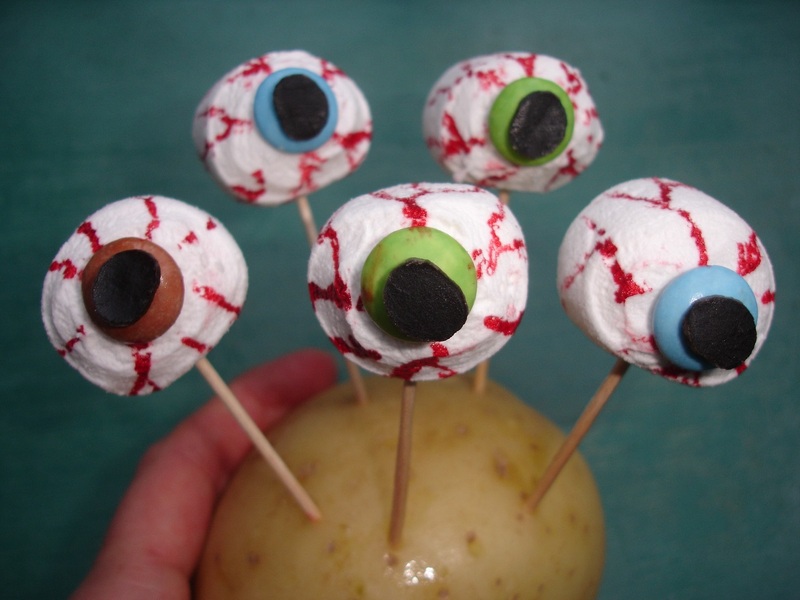 Doesn’t time fly its Halloween again, and I can’t wait, I have been trying out some Halloween treat ideas for next week, much to Thomas’s delight, they would be great for a party, you could use the ‘eyeballs’ as a spooky decoration. To make the veins dip the end of a cocktail into the food colouring and paint thin wiggly lines onto the marshmallow or pipe on red lines with your icing. 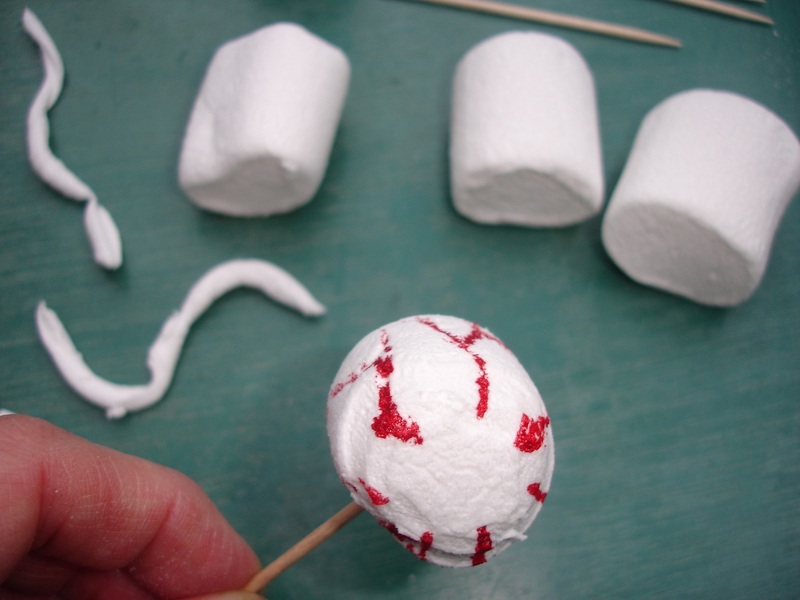 Attach your Smartie (iris) to the front of marshmallow with icing or by slightly wetting the marshmallow to make it sticky. For the pupil cut the liquorice toffees into thin slices and stick one onto the smartie by slightly wetting it or add a blob of black icing. In a jug make up the jelly as per the instructions on the packs. Pour the jelly into your clear pots and put them into the fridge until they just begin to set. 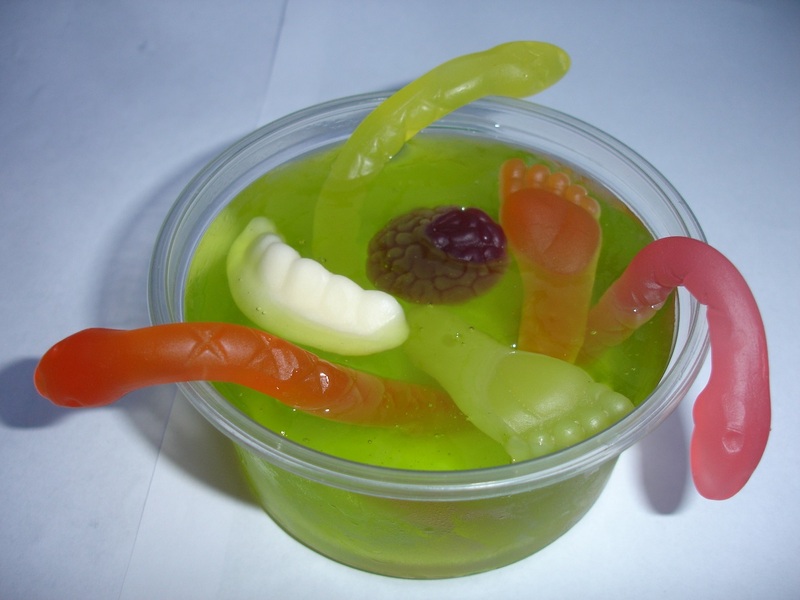 Remove from the fridge and carefully push your sweets into the green goo, arrange some so that they are sticking out and hanging over the pot. Return your pots to the fridge to set. Place your chocolate biscuits in a bag and bash into crumbs with a rolling pin. Just before serving sprinkle the chocolate crumbs on the top with some of the popping candy for a crunchy exploding experience. Both ideas went down well with Thomas, he enjoyed the Swamp Pots the most. Whatever you do/make for Halloween have lots of fun. For lots more spooky ideas/treats/games click here.